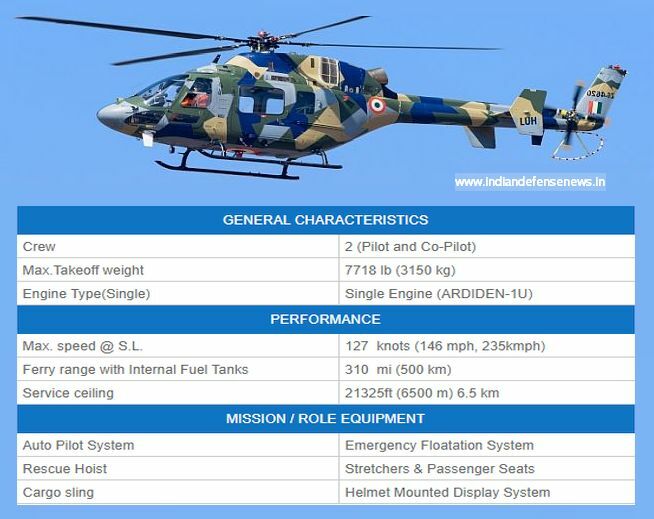 New Delhi: HAL Light Utility Helicopter (LUH) is a new-generation rotorcraft being designed and developed by Hindustan Aeronautics Limited (HAL) for the Indian Armed Forces. The light utility helicopter can accommodate two crew including a pilot and a co-pilot, as well as six passengers. The maximum take-off weight of the helicopter is 3,150 kg. The LUH is powered by an Ardiden 1U (Shakti) engine designed by Safran. The two-stage turbine engine develops a maximum power of 1,058kW enabling the rotorcraft to perform search-and-rescue missions, long-range flights, and hover operations. The maximum continuous power output of the engine is 912kW. The 3t-class helicopter is capable of performing in high-altitude areas such as the Himalayas. It has a service ceiling of 6,500 m and can perform manoeuvres with ease due to the sufficient power generated by the engine. It is capable of carrying payloads weighing up to 500 kg.